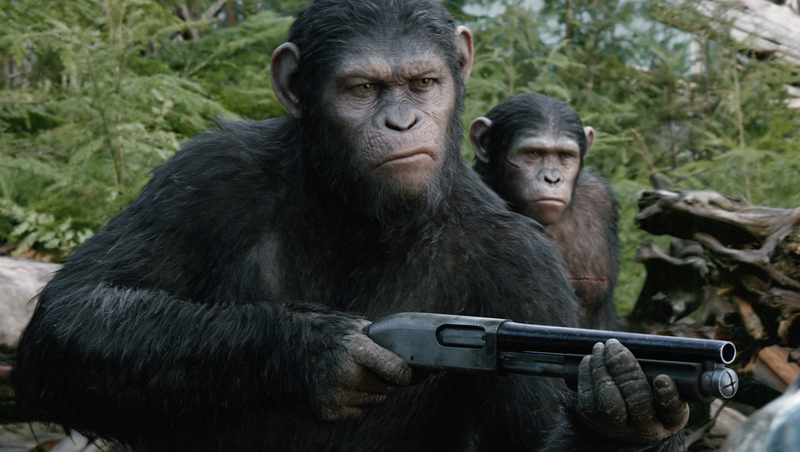 The primates aren't monkeying around in the new trailer for "Dawn of the Planet of the Apes." Post by Dawn of the Planet of the Apes. Whereas the 2011 hit "Rise of the Planet of the Apes" focused more on the human characters, "Dawn" will place a greater emphasis on the simians. Ten years after a deadly virus began wiping out most of humanity (as seen in the ending credit sequence of "Rise"), Caesar (Andy Serkis, returning to the role in a performance capture suit) leads a large society of apes living peacefully in California's Muir Woods, just outside a now-dilapidated San Francisco. When a rag-tag group of surviving humans (among them Gary Oldman, Keri Russell and Toby Kobbell) comes into the picture, all hell breaks loose. A conflict between the two species seems inevitable, or as Caesar fatefully puts it, "War has already begun." "Dawn of the Planet of the Apes" will be released in 3D and 2D theaters on July 11. Tell us: Are you excited for the sequel?